Chiropractic Decompression Therapy is a highly successful treatment for patients suffering from bulging, herniated, and degenerative discs as well as sciatic, and some failed back surgery cases. Herniated and degenerated discs are among the most common causes of lower back pain. 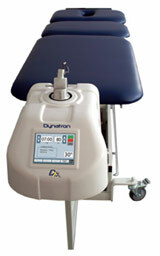 The Disc-Decompression Table is specifically designed to treat these types of conditions. Damaged intervertebral discs seldom heal, as the discs are constantly under pressure. The Disc Decompression Table used clinically proven principles to help relieve pressure on vital structures of the lumbar spine, cervical spines, and spinal nerves, reducing the pressure inside the disc. 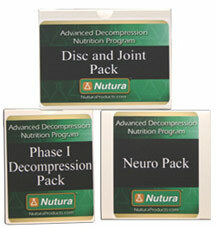 Schedule a consultation to see if Decompression Therapy can help you. One recent study shows an impressive 86% success rate in helping to resolve patient's symptoms.